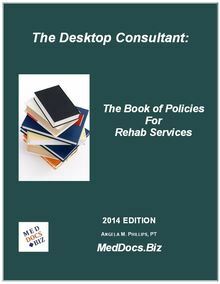 This Desktop Consultant provides a compendium of policies for rehabilitation services and includes 150+ individual policies. Each policy is referenced to the appropriate Joint Commission (TJC), Health Facilities Accreditation Program (HFAP), CARF and Medicare standards. This extensive manual, written by a therapist for therapy services, is designed to meet the needs of both inpatient and outpatient practices including hospitals, private practices, pediatric services, CORF’s and rehab agencies. 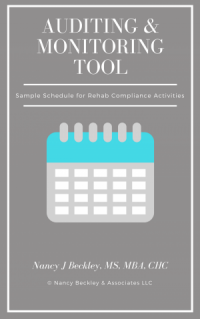 The manual is meant as a reference document to assist you in completing the policies and procedures you need for your practice. It includes a compendium of policies that may be required but does not include every policy you will need. 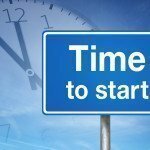 You may wish to review other products on our website for job descriptions, forms and tools and policies that address other areas such as Privacy and Security. All policies are in Word and Adobe format for ease in editing. Note: We are pleased to offer this by agreement with author Angela Phillips, PT and MedDocBiz.